Target likely customers based on geography and show them promotions and offers relevant to their location. 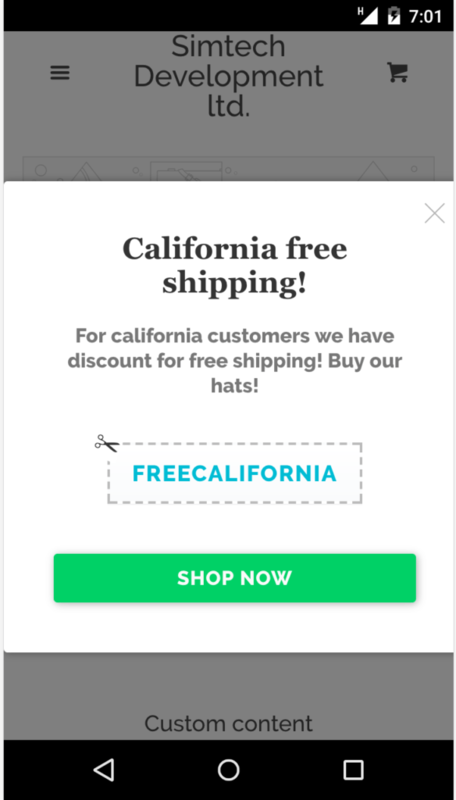 You can post news, images, coupon codes, and eye-catching popups. You can base this on country or state, or right down to the city. You can show any home or product page you want, adjust colors, fonts links and text. 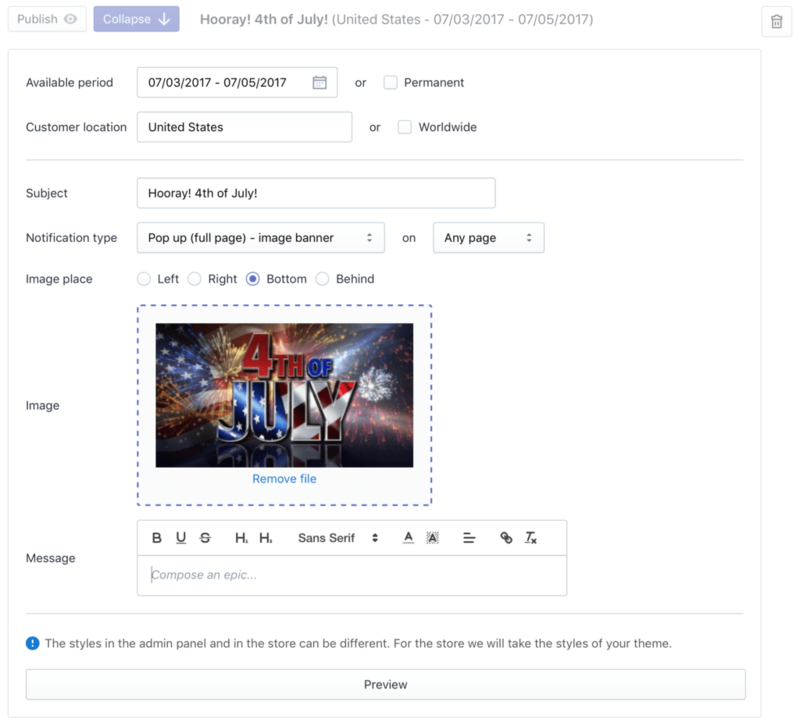 You can set the availability period for notifications, view previews to fine tune your message, and optimize with your built-in analytics tool. Optimize your targeted ads, promotions and sales by geography with this functionality from Optimum7. Display product or home pages. Cast your net as wide as a country or as narrow as a single state or city. 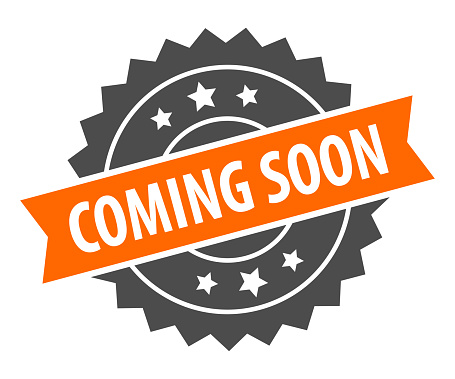 This functionality will prove useful for local businesses, or event based promotions. This is for online professionals who want to fine tune their approach to promotions based on locations. If you happen to know your target audience inhabits a certain zone, this is the tool for you. Local businesses especially can benefit from this functionality. 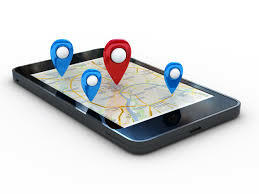 This functionality will allow you to post notifications and promotions or display a product or homepage based on the location of your customers. It lets you set the time for the notification, meaning you can end the message when the sale ends. You can track results with the built-in analytics tool. The benefits of this functionality are that your marketing messages go directly where you want them. This will assure you that your promotional dollars are well spent. Local businesses, or event-based marketing for a location, will find this to be a more efficient method. This functionality makes a difference in where your marketing materials, whether those are home pages, product pages, sales offers, or anything else. You won’t have to wonder how well the ad is performing- you can know by looking at the built-in analytics tool.